The latest installment of the newsmagazine is now available via the members’ area. 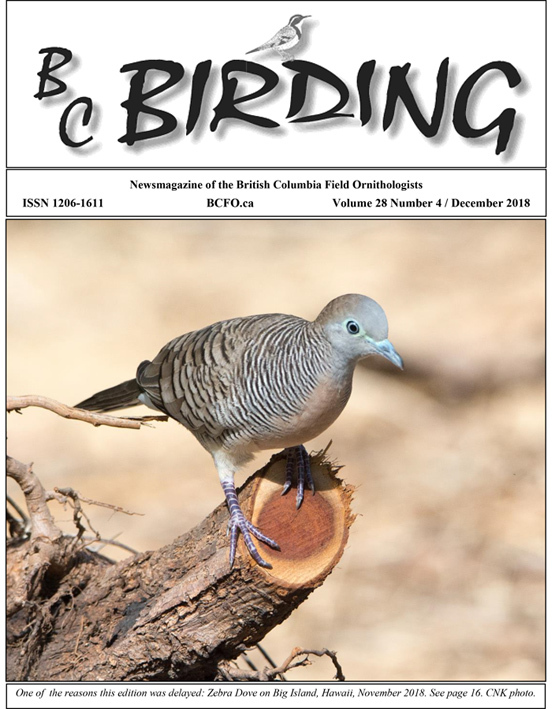 This 32-page edition carries some BCFO news, the annual Listers’ Corner invitation, five great trip reports, detailed information on Goshawks and Merlins, 34 fine photographs, and all the usual features. Hard-copy subscribers will receive the printed edition in due course.